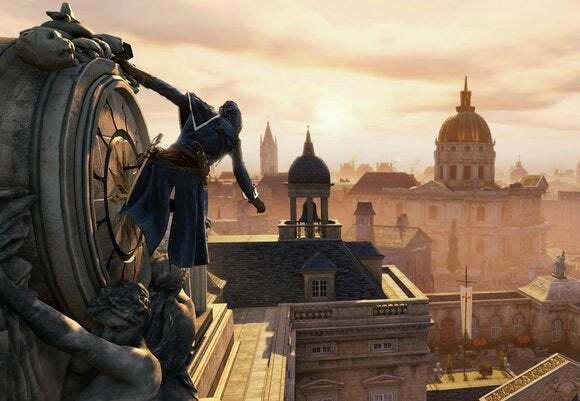 Like many others, my copy of Assassin's Creed: Unity unlocked at midnight last night and I eagerly jumped in to see what Ubisoft had delivered for this year's French Revolution-themed expansion. I'm only three hours into the game, so I'm not going to make any comments on story or pacing yet—we can leave those for the full review, which should be up later this week. I will, however, discuss the game itself. I'm currently running Unity on a GTX 760—not a top-of-the-line machine, for sure, but I'd reckon it's a pretty good stand-in for the average person's gaming machine. Unity's frame-rate on said 760 is rough. Really rough. Oddly, most of the issues come during cutscenes instead of the actual game. I assume stuff is loading in the background, but it results in cinematics that jerk around awkwardly. Forget Ubisoft's claim that 30 frames per second is "more cinematic"—it's like I'm watching Unity play out on a zoopraxiscope (that thing where the horse runs around a spinning wheel). The game itself, as I said, is mostly fine barring some texture and object pop-in. The primary culprit is the massive crowds Ubisoft stuffed into this game. Sometimes the game handles these crowds no problem, but other times you see people popping into place every five feet. It still looks gorgeous, but if you're sensitive to that sort of glitching it'll begin to irk you. Recognizing that I'm not running a top-notch PC at the moment I tried dipping a few settings, but to little effect. To be fair, Ubisoft's ridiculous PC requirements say you'll need a GTX 680 minimum. But YouTuber TotalBiscuit tried playing the game with dual Nvidia GTX 980s in SLI and still reports that "lighting is glitchy as hell and overall texture quality is poor," He also bemoaned pop-in problems. 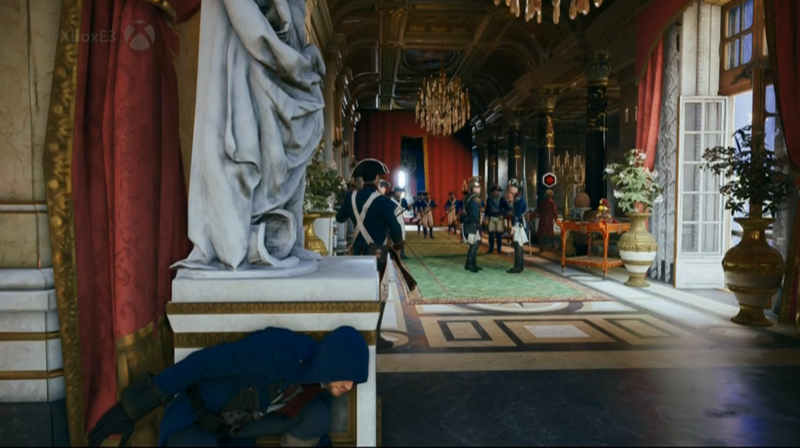 The Assassin's Creed: Unity Steam forums are filling with similar tales of woe. I don't know if this has changed this morning but there are also a number of online-enabled features Ubisoft's stuffed into this thing that were broken as of last night, resulting in an incredibly attractive "Contact Ubisoft" error code. And to top it all off, the reason I quit playing last night was because after three hours the game hard-locked my computer. It's hard to know how many of these issues are permanent and how many will be worked on in the coming weeks, and Nvidia and AMD each released new drivers for the game today, but for now just be aware that the rumors are true—Unity is suffering from all sorts of performance issues. Buyer beware.